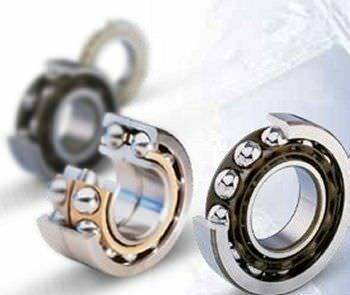 The angular contact ball bearing has a single row angular contact type that has a bore diameter of 80 to 750 mm. There is also an angular contact type that can be assembled in pairs, and has a bore diameter of 80 to 380 mm. The double row angular type has a bore diameter of 80 to 300mm and the four point type has a bore diameter of 80 to 240 mm.